Christine Vestal at Stateline.org has prepared an excellent and timely overview of funding for human embryonic stem cell research, which was obviously in the works prior to the president's speech earlier this week. California receives a fair amount of attention, but she provides a good update on efforts in other states and at the national level as well. "Now that grant money is flowing, the California Institute of Regenerative Medicine (CIRM) reports it has wooed more than two dozen of the world’s top stem-cell scientists, including Japanese scientist Shinya Yamanaka, who lead the most recent skin-cell discoveries at the University of Kyoto. Yamanaka accepted a state grant in August 2007 and began working part-time in San Francisco to avoid stem-cell restrictions in Japan." Biotech Loan Program – Coming up Feb. 19 is another CIRM hearing on its ambitious plans for a biotech loan program. This session will be in La Jolla with a teleconference link to San Francisco. If you want to take part in developing the criteria for the effort, which is the brainchild of California stem cell chairman Robert Klein, you should plan on attending or at least sending comments to CIRM. The program could total as much as $750 million, according to Klein, and is aimed at financing development of stem cell therapies in cases where conventional financing is not available. The schedule also calls for a presentation on the plan to the Oversight Committee at its March meeting. 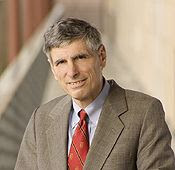 Bush v. CIRM -- The California stem cell agency's statement concerning President Bush and his comments this week regarding stem cell research stirred a mini-debate on a bioethics blog run by Los Angeles physician Maurice Bernstein. You can find the exchange here. "Even some of the most persistent critics of the California stem cell enterprise credit the value of Pizzo’s steady ethical compass during debate over public oversight and financial standards. 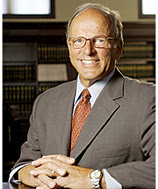 While other members of the stem cell governing board filed lengthy financial disclosures, including a fair share of monetary ties to biomedical concerns, Pizzo’s declaration was essentially a blank slate: He steers well clear of any entangling investments, a pattern that can be traced back to his days at the National Institutes of Health (NIH), where he was head of the infectious disease section of the National Cancer Institute from 1980 to 1996." For another perspective on the California Stem Cell Report and whether it follows the party line of the California stem cell agency, curious readers can take a look at the Ipbiz blog produced by Larry Ebert in New Jersey. On Tuesday, Ebert described this report as a "fantasyland." Today he suggested the report was something of a tool of California's stem cell agency. While the current president is reiterating his opposition to human embryonic stem cell research, investors are beginning to look to the future. We have reported previously that the prospect of a favorable presidential change has eased some of the fears of stem cell investors. One further sign is the announcement today that UBS Investment Research upgraded Geron Corp. of Menlo Park, Ca., from neutral to a buy recommendation on its stock. "'We think Geron could be an attractive U.S. presidential election year play, given that any change in the current administration is likely to create a more favorable environment overall for stem cell research efforts and funding,' said analyst Graig Suvannavejh. "Suvannavejh also pointed to positive near-term catalysts such the filing of an investigational new drug application for Geron's stem cell therapy for spinal cord injury and an update on the company's partnership with Merck for telomerase-based vaccines." The California stem cell agency has its second Aussie on board, Sam Hawgood, who joined CIRM's Oversight Committee at its meeting in Burlingame earlier this month. Hawgood (see photo) replaces David Kessler, the former dean of medicine at UC San Francisco, on the Oversight Committee. Kessler was fired as dean in December and could no longer serve on the Oversight Committee. California law states that the Hawgood/Kessler position must be filled by an executive officer from a UC campus with a medical school. The appointment is made by the chancellor at UC San Francisco. Hawgood emigrated from Australia in 1982. 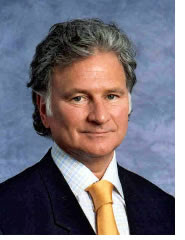 Another Australian, Alan Trounson, was named last year as president of CIRM. Here is part of what UCSF had to say about Hawgood at the time Kessler was fired. "Hawgood was named chair of pediatrics in 2004 and physician in chief of UCSF Children’s Hospital, one of the nation’s top children’s hospitals. He also has been instrumental in laying plans for construction of a new children’s hospital at UCSF Mission Bay. He is currently president of the UCSF Medical Group, which represents more than 900 physicians at UCSF." The California stem cell agency is accusing President Bush of distorting facts and performing a disservice to millions of Americans who suffer from chronic diseases and injuries. The agency said Bush intends to "further limit" research into human embryonic stem cells. The CIRM statement is contained in a press release on its web site that concerned Bush's speech Tuesday night. Interestingly, the CIRM statement is not attributed to either Bob Klein, chairman of the agency, or its new president, Australian stem cell researcher Alan Trounson. In the past, statements such as this have been linked to either the president or chairman. Here are excerpts from the release followed by the two paragraphs from the president's speech. "President Bush distorted the scientific facts on stem cell research and did a disservice to the millions of patients suffering from chronic disease and injury for whom stem cell research holds great promise for future therapies and cures." "The President’s proposals to further limit medical research in this area fail to take into account the intricate realities of the state of stem cell research. Indeed, the recent advances in which skin cells were induced to become pluripotent would not have been possible without research involving human embryonic stem cells." "Therefore it is critical that all avenues of stem cell research be aggressively advanced. To do otherwise would increase the already devastating restrictions that have burdened Federal support of stem cell research and patients who are depending upon it. This Administration’s position on stem cell research has already cost years in lost research productivity. Further restrictions would result in more lost time in developing stem cell based therapies and cures that hold great promise to alleviate suffering for the most destructive and costly diseases such as spinal injury, loss of sight, heart muscle injury, Parkinson’s Disease, ALS and diabetes." "On matters of life and science, we must trust in the innovative spirit of medical researchers and empower them to discover new treatments while respecting moral boundaries. In November, we witnessed a landmark achievement when scientists discovered a way to reprogram adult skin cells to act like embryonic stem cells. This breakthrough has the potential to move us beyond the divisive debates of the past by extending the frontiers of medicine without the destruction of human life. "So we're expanding funding for this type of ethical medical research. And as we explore promising avenues of research, we must also ensure that all life is treated with the dignity it deserves. And so I call on Congress to pass legislation that bans unethical practices such as the buying, selling, patenting, or cloning of human life." While CIRM was advancing its $262 million lab grant program this week in Burlingame, about 490 miles to the south in La Jolla, a tiny firm called Stemagen was making international headlines with its news about cloning human embryos. Terri Somers of the San Diego Union-Tribune had one of the first stories on the matter. The paper also had a piece by Sandi Dolbee on the ethics of the issue. The blog of the American Journal of Bioethics has a roundup of links to coverage elsewhere. The Center for Genetics and Society in Oakland also raised questions about the propriety of the research, which involved the cells (see Stemagen photo on right) of Stemagen's president, Samuel Wood (see Stemagen photo on left) and an anonymous investor in the firm. News coverage of this week's $262 million stem cell lab jackpot was very light with only three articles appearing in what is generally considered to be the mainstream media. One of the pieces was written by yours truly for Wired News (although it may not be considered "mainstream"). Terri Somers of the San Diego Union-Tribune focused on the $50 million bid by the San Diego stem cell consortium, which consists of UC San Diego and the Scripps, Salk and Burnham institutes. The San Jose Business Journal carried a brief item that was a rewrite of the CIRM news release. No reporters from the mainstream media appeared to be present for the Burlingame meeting of the CIRM Oversight Committee at which the lab grant applications were considered, a coverage trend that is likely to continue this year. That's a mixed blessing for CIRM. Excessive media attention can lead to stories about the agency's warts. On the other hand, not enough makes it difficult for CIRM to deliver its message and build support for stem cell research. Declining and meager coverage reflects several realities. The novelty of Prop. 71 has virtually vanished in the eyes of most editors and reporters, who generally don't cover most state agencies with any regularity. Newspapers are also laying off staff. Their budgets are hard-pressed because of declining advertising revenue and the need this year to finance coverage, at least at larger papers, of the presidential campaign and the Olympics in China. In their most heated public session in their short history, directors of the California stem cell agency Wednesday night rejected a bid by Childrens Hospital Oakland Research Institute to overturn a negative recommendation on a grant to build a lab to fight sickle cell anemia. Childrens' request failed on a 5-10 vote despite an impassioned plea by CIRM director Jeff Sheehy. "This is a no-brainer," said Sheehy. "This is a very promising area of research." Other board members argued that Childrens' public appeal, the first ever directed to the Oversight Committee, violated the agency's processes, was unfair to other rejected applicants and needed consideration in some future round of grants. Sheehy didn't buy the arguments. "Let us study it," he said caustically. "Let another person die." The board's action came during a session that resulted in the relatively routine approval of 12 institutions to advance to the next round of the $262 million stem cell lab grant program, which will judge the actual building plans. Today's review focused on the research proposed for the facilities. All 12 approved Wednesday night were identified earlier as being recommended for funding following a closed-door session involving scientific reviewers who are not required to disclose publicly their financial interests. He told directors that the grant reviewers did not appreciate the type of research proposed by Childrens. Sheehy, who participates in the closed-door review sessions, concurred. Lubin also told directors, "When you report on what CIRM has done, this (funding his program)would be a major accomplishment." He said it could result in actual treatments in a year or two, which is a far cry from almost all of the research financed by CIRM. Some directors, including Chairman Robert Klein, have pushed aggressively for faster work on therapies. Ironically, earlier in the day, a CIRM Task Force explored details of how it could launch a massive loan program, totaling as much as $750 million, to speed development of therapies. Gerald Levey, dean of the UCLA School of Medicine, did not agree with Childrens' appeal. "I don't think we can run a board this way. If we do, it would be chaos." He was responding to a request by Lubin for a 10 minute presentation Thursday of Childrens' case. Levey warned that allowing the presentation would lead to 50 other rejected applicants coming to the board. Director Joan Samuelson said that even 100 persons would be okay with her. She provoked laughter when she declared that would show more interest than at any other board meeting. CIRM's new president, Alan Trounson, who was attending his first board meeting, expressed concern about whether allowing Lubin to make a 10 minute presentation on Thursday would be fair to the five other rejected applicants. He suggested that they might need to be notified and allowed to make a similar pitch, perhaps by phone. Ted Love, another director, said, "We can't fund everything. He said that if Childrens' research is "really good," they will find funding elsewhere. Both Klein and Trounson indicated that Childrens research might find favor in another round of grants. However, the board rejected, on a 3-10 vote with one abstention, Samuelson's motion to permit a 10 minute presentation. Lubin was allowed to make his appeal during the comment period alloted to the general public. Speakers are supposed to be limited to three minute presentations, but enforcement of is sometimes lax. While Childrens was frustrated in its bid on Wednesday, other applicants are going to be disappointed this spring in the second round of the competition. CIRM staff said that if all 12 were funded at the midrange of the amounts alloted in each category of competition, $320 million would be required. The board has already said it will only spend $262 million. "Investment in facilities to extend California’s state-of-the art research capacity is a critical part of CIRM’s Scientific Strategic Plan to sustain and build California’s global leadership in stem cell research. Through the Major Facilities Grants we are leveraging the impact of Proposition 71 funds with contributions from donors and non-profit research institutions. Our goal is to exceed $550,000,000 in research facility investments that will advance critical stem cell research. Achieving this goal would mean that every one dollar of State funding from Proposition 71 would deliver two dollars in research facility investment." "The facility investments CIRM will make through these grants will continue to propel California as a leader in stem cell research. Providing the necessary infrastructure for research is a critical step in laying the foundation for eventual therapies and cures." The Oversight Committee meeting will continue today with an appeal by the Human BioMolecular Research Institute San Diego of reviewer rejection of its grant application. The 12 institutions that survived Wednesday night's judgments are Buck Institute, the San Diego Consortium for Regenerative Medicine, Stanford, UC campuses in Berkeley, Davis, Irvine, San Francisco, Merced, Santa Barbara, Los Angeles and Santa Cruz and the University of Southern California. The bid by Childrens Hospital Oakland Research Institute today received added support in its effort to reverse a negative decision on its application for a CIRM grant to build a stem cell facility that could help sickle cell anemia research. The support came in the form of a letter from the Greenlining Institute of Berkeley, which has lobbied CIRM on minority issues in the past. The Greenlining Institute is a multi-ethnic public policy and advocacy organization that is dedicated to improving health outcomes for low-income communities of color in California. Our coalition includes civil rights, health, business, and faith-based organizations such as the First AME Church, the California Black Chamber of Commerce, the California Hispanic Chamber of Commerce, the Asian Business Association, the Mexican American Political Association, the Southeast Asian Center, and the La Maestra Community Health Center. We are disappointed that the application submitted by Children’s Hospital Oakland Research Institute (CHORI) to CIRM for a Facilities Grant was not approved by the CIRM Working Group Committee. As advocates for minority health and the elimination of health disparities, we do not believe that the working group appreciated that a proportion of CIRM funds provided by the vote of citizens of this State should be used to support programs that address the needs of underserved communities. We believe that the work CHORI proposes is likely to benefit a disproportionate number of citizens as a result of the ethnic diversity in this State. We understand that you have the authority to make the final decision on CHORI’s application and encourage you to approve it. CHORI’s application included a plan to construct a new GMP cellular facility which would perform clinical and translational research using adult stem cells obtained from cord blood and from placenta. CHORI is recognized as a national resource for cord blood and placental cell studies, and in addition to basic research studies, it serves as a core resource for other investigators. CHORI staff have reported that 92% of children with sickle cell anemia have been cured following an HLA matched sibling cord blood stem cell transplantation. This information has previously been presented to ICOC and was enthusiastically supported. As less than 25% of patients with sickle cell anemia have a suitable donor for a stem cell transplant, the research proposed at CHORI has the potential to expand current transplantation practice in our State and throughout the nation. Not only will this impact health and quality of life, it will have an enormous beneficial economic effect. It appears that the working group did not appreciate the need for CHORI’s GMP facility to successfully carry out clinical trials that would benefit our State. January 16 and 17, 2008. Fifteen businesses – perhaps some from outside of California – intend to seek grants from the California stem cell agency, a response that one agency watchdog says demonstrates that the private sector is "comfortable" with sharing stem cell wealth with the state. The agency today announced that 57 organizations filed letters of intent last Thursday stating that they expect to apply for the $25 million effort to develop new lines of pluripotent cells, including research into reprograming adult cells. "We are particularly excited to note that based on the letters of intent we have received there is a good balance between research that derives pluripotent stem cell lines from human embryonic stem cell lines as well as new, highly novel methods such as iPS." The California stem cell agency today served up a tasty, albeit late morsel to chew on prior to Wednesday's session on the proposed biotech loan program, which could total as much as $750 million. The document outlined CIRM's basic thinking at this stage, which includes a staff review of loan applications to see whether they merit further review by scientists. Debt Structure/Terms: E.g., five to seven years? Interest Rates: Adjusted per risk analysis and/or balancing feasibility and program goals? Subordination: Should CIRM loan be subordinate to bank, working capital lines, venture loans, et cetera? Security: What would be appropriate? Milestones: Appropriate benchmarks for payments over five to seven year term? The Childrens Hospital Oakland Research Institute has beefed up its effort to overturn the initial rejection of its bid for a multimillion dollar stem cell lab construction grant with a second letter that amounts to a "peer review" of the "peer review" of its plan. The effort by the institute is believed to be the first such appeal by a rejected applicant, although CIRM refuses to confirm that. It also refused to release the letter, saying such an action would be inappropriate. Earlier today, we filed a formal request for the letter under California's public records law. Later, the letter came to us from a source that asked not to be identified (it was not the Oakland institute). Both letters were sent Monday to all members of the CIRM Oversight Committee, which meets Wednesday to consider the scientific segment of the lab grant proposals. Grants not approved on Wednesday and Thursday will be knocked out of the running for the second stage of the grant review, which will focus on the building plan. The current stage focuses on the science that is being proposed. Last fall the CIRM Grants Working Group conducted a "peer review" of all 17 applications. The review was performed behind closed doors with scientists who did not disclose publicly their financial interests -- standard policy for CIRM. Twelve applicants were recommended for funding. Five were rejected, including Childrens Hospital, the University of California at Riverside and Cedars Sinai. CIRM has identified the 12, in "violation" of its own policy of confidentiality on the names of applicants. UC Riverside and Cedars Sinai confirmed to the California Stem Cell Report that they were rejected. But they have not responded to questions about whether they are appealing the decisions. Here is the text of the latest appeal letter from Childrens Hospital Oakland Research Institute. The boldface indicates the criticism of the Oakland proposal. CIRM refuses to release the actual report by CIRM reviewers, who performed their review behind closed doors. The critique of the Grants Working Group indicates clearly that the intent and aims of our proposal were misunderstood. We think that the reviewers might have overlooked that the goal of Proposition 71 was to cure disease by the innovative use of stem cells, not simply to explore the possibility of curing disease with ES-derived cells. The reviewers imply that we have requested a facility that will be used simply to process and store blood stem cells for conventional transplant procedures. This is not the case: we have proposed to explore the use of a new type of blood stem cell, discovered here, that has the potential to transform blood stem cell transplantation and make it available to far larger numbers of patients. Achievement of this goal will however require rigorous research. The research must be very strongly clinically oriented if our discovery is to be translated into something that can be used to cure disease. We should also note that the cost of our facility is relatively modest, particularly in light of the probable direct and near-term benefit to the citizens of California. 1. No collaboration with established stem cell lab/groups to help characterize novel cellular populations; absence of hESC studies. The focus of our research and the purpose of the application is to benefit California citizens affected by hemoglobin disorders, which afflict a disproportionate number of citizens as a result of the ethnic diversity in this State, through innovative applications of stem cell therapy. We are committed to accomplishing these aims in the near-term, and more important, to apply our research in the clinic by using the safest and most reliable methods. Currently, there is a great deal of uncertainty surrounding the clinical applicability of hESC, and their clinical safety has not been sufficiently well characterized to support clinical trials with these cells in the near-term. Thus, we have elected to apply other methods of regenerative cellular therapy, in part because the safety, efficacy, and availability of other sources of cells are better developed, and we have considerable experience with conducting these trials. 2. Institutional collaborations were not carefully described, and corporate partnerships to develop the products were not included in the application. While we have established institutional collaborations with UCSF, UC Berkeley, and UC Davis, and share CIRM funding with UC Berkeley to conduct stem cell biology training for our clinical fellows, none of these institutions has developed expertise in characterizing placental stem cell populations, which are the focus of this application. Thus, we are uncertain about how collaboration on this subject outside our group would be practical or useful. It should be evident that we have extensive established collaborations relating to hematopoietic stem cell transplantation and cord blood collection, processing, and storage. 3. Poor interdisciplinary collaboration of pre-clinical and clinical research projects, with a lack of track record by some PIs. This criticism ignores information that was clearly presented in the proposal: in fact we have an extremely well integrated program of research. Our proposals were prepared as a result of ongoing interactions by laboratory-and clinical-based investigative teams to 1) collect stem cell populations from placenta to investigate a new source of stem cells that might augment and expand the applicability of cord blood transplantation; 2) overcome barriers to histocompatibility by using photochemical treatment of donor lymphocytes before hematopoietic cell transplantation with mismatched donors. These projects were initiated, and are undergoing further development, as collaborations between basic and clinical investigators devoted to discovering medical therapies for hemoglobin disorders. The goal of these interactions is to translate these ideas into readily available applications of cellular therapy, something we believe is strengthened by our strong track record of conducting successful stem cell transplantation clinical trials for hemoglobin disorders. hemoglobin disorders, not simply to construct a duplicate facility for housing cord blood collections from California families. This research would involve the collection of placentas for cryopreservation, analysis and mobilization of stem cell populations from placenta, and then processing these cells for use in a clinical transplantation trial that will be initiated in the next 1-2 years. We are currently preparing an IND with the FDA for this purpose. It is important to point out that the placenta-derived hematopoietic stem cells are the first new type of stem cell used in this field since the 1970’s, when cord blood was first used. Federal regulations governing this research have changed dramatically since that time, and are now far more complex. This project is thus truly innovative, and it will serve as a model for other attempts to use stem cells clinically. If proof of principle were provided by this initial clinical trial, the technology then would be applied to existing transplantation efforts, with the goal of expanding and improving outcomes after cord blood transplantation, particularly after unrelated donor transplantation. The proposed research is not supported by HRSA or the C. W. Young bill. The primary purpose of this bill is to establish cord blood banks and develop an inventory of 150,000 units for public use. It is not to perform clinical/translational research like that we have proposed. While a small amount of funds are allocated to support sibling banking ($250,000) by the funded cord blood banks, there are none in California who elected to participate in this sibling effort. It is critical that we have a facility for developing, characterizing, and distributing these cells for clinical transplantation trials. Thus, a GMP/GLP cell processing laboratory and a HLA laboratory are key components in support of the proposed clinical and pre-clinical investigations. This work cannot move forward without a facility. 5. A plan to utilize national networks in order to conduct a clinical trial was not detailed. It should be very clear from Dr. Walters’ track record that he is able to utilize, indeed currently is utilizing, such national networks in a highly productive fashion. The proposed pre-clinical investigations will be transitioned to phase I clinical trials in the very near term, responsive to the Element Z category we employed for this application. By providing proof of principle, this research has the potential to expand current clinical transplantation practice that will utilize HLA – mismatched and unrelated stem cell donors for hemoglobin disorders, a practice that is not routinely available. These will be conducted using multi-center networks that we can access for completing these clinical trials and which were detailed in the application. These include the Center for International Blood and Transplantation Research (IBMTR), the Sickle Cell Disease Clinical Research Network (SCD-CRN), and the Blood and Marrow Transplantation Clinical Trials Network. Our investigative team has leadership positions in these organizations and a successful track record of carrying out similar translational clinical trials in human hematopoietic cell transplantation. We appreciate the opportunity to present our responses to critiques of our application and hope that the ICOC might look favorably on this and future applications to CIRM that we submit for consideration. If you are looking for the public summaries of the applications for $263 million in stem cell lab construction grants scheduled to be considered tomorrow by the California stem cell agency, you will not find them on the meeting's agenda. Instead they are tucked away under the category of "funding opportunities," although the opportunity to apply has long since passed. Normally, the agenda for the Oversight Committee contains a link -- at some point prior to the actual meeting -- to the summaries of applications for grants. However, as of this writing, no link was posted on the CIRM website. When we inquired early today, we were told that they can be found at the "funding opportunities" location. It wasn't clear when the summaries were posted at that location – perhaps Friday, perhaps Monday, we were told by the agency. A spokeswoman for the CIRM said she was going to ask about the reasons for failure to link the summaries to the agenda. The simplest explanation is that there was a foul-up. Some might conjure up wilder reasons. Whatever the reason, posting the summaries as late as Monday does not well serve the agency, the public or interested parties. State law requires ample notice in advance of public meetings because some governmental agencies in the past were not notifying the public about matters they were entitled to know. To serve the intent of law well, the agenda must also provide more than cryptic statements. Failure to provide background material well prior to meetings only leads to cynical speculation and creates an atmosphere of distrust. A glittering array of 29 scientists and executives rule California's prodigious $3 billion stem cell research effort. In many ways, they constitute some of the finest minds in the business and have even included Nobel Prize winners. The thinking was that this elite panel of experts could bring their knowledge and wisdom to bear on the world's largest funding effort for human embryonic stem cell research. But this week, many of them will remain mum as $263 million worth of decisions are made. The group is formally known as the Independent Citizens Oversight Committee(ICOC). More commonly, it would be described as a board of directors for the California Institute for Regenerative Medicine(CIRM). On Wednesday and Thursday, the committee will make critical, initial decisions on handing out $263 million for lab construction at the Golden State's finest research institutions. But only about one out of three of the directors will be able to vote on or even discuss some of the key issues in what is the largest round of grants ever made by CIRM. The reason? They are associated with institutions that are seeking big chunks of the $263 million jackpot. In many cases they have conflicts of interests that CIRM's attorneys say make it illegal for them to vote or even participate in debate. The impact goes well beyond silencing most of the board on some matters. It could also create a "quartet majority" in which the votes of four persons could be all that is needed to take some actions. Here is how it could happen, based on Prop. 71, which created CIRM, and an explanation last August from Tamar Pachter, CIRM general counsel. The strange situation stems from the requirement that many of the Oversight Committee members -- by Prop. 71 decree -- must come from institutions that stand to benefit from CIRM's largess. They include deans of medical schools and executives at the University of California and other academic and research institutions. In fact, of the 12 lab grant applicants that CIRM has publicly identified, 11 have one or more members on the ICOC. "They are members who work for for-profits, patient advocates who are unaffiliated with institutions who will be applying for funds. That's it." She did not spell out the ultimate implications. But Prop. 71 uses the number of ICOC members eligible to vote as the basis for a quorum, rather than the total number of persons on the ICOC. Prop. 71 also states that a quorum is 65 percent of those eligible to vote. Action can be taken by a majority of a quorum. So when 10 persons are eligible to vote, the quorum is seven. A majority would be only four – a fact not directly discussed at the August ICOC meeting. "A lot of us are going to be left out...It's not just the case we can't vote; we also can't even participate in the discussions. And I think that narrows the field of expertise in a way that is unfortunate." The ICOC ran afoul of this problem in December when it approved adding $35 million to the lab grant program. Only eight persons on the board were permitted to participate in the debate on that proposal. The "quartet majority" problem also leads to some interesting speculation about whether it could come into play in connection with the attempt by Childrens Hospital Oakland Research Institute to overturn an unfavorable decision by the Grants Working Group on its lab grant application. Could the Oakland hospital's bid be approved by only four members of the ICOC? One could argue that ICOC members associated with institutions with competing grants could not vote on Oakland's request because it could affect the amount of funding available for their institutions. But before the Oakland bid can come to a vote, a member of the ICOC has to make a motion to approve it. Then Oakland has to line up three other sympathetic board members. A CIRM watchdog organization today urged five institutions "rejected" for multimillion dollar state lab construction grants to appear publicly next week and make their case for funding from the California stem cell agency. "CIRM management decided to reveal (last month) the 12 institutions that will be recommended for an invitation to seek funding so that they could use the information in year-end fundraising efforts. How is that fair to the five who were not anointed in secret by the closed scientific brotherhood?" The California stem cell agency has declined to say whether any other lab grant applicants – besides Childrens Hospital Oakland Research Institute – are attempting to overturn negative decisions on their grant applications. "Appeals are allowable only if there is demonstrable evidence of a financial or scientific conflict of interest. Differences of scientific opinion among PIs and reviewers are not grounds for appeal. In the past, applicants who have raised questions about their grant applications or sought clarification, which is common in any granting exercise, have been informed of this policy. Thus far we have had no formal appeals to our grant-making process." "I strongly urge representatives of all five rejected institutions to show up at next week's ICOC meeting and make their case in public directly to the board. It is, they claim, the decision making authority. What's happened so far were merely "recommendations.'" By law, the Oversight Committee is the final authority on grant approval. It can accept or reject – for virtually any reason -- decisions by the working groups. That is one reason CIRM says it is not necessary for grant reviewers to publicly disclose their financial interests. In response to queries from the California Stem Cell Report last month, two other institutions disclosed that their applications have been rejected. They are the University of California at Riverside and Cedars-Sinai in Los Angeles. However, they have not responded to queries on Thursday about whether they are asking Oversight Committee to reconsider the working group action. The lab grant program is the first in which the names of applicants have been disclosed by CIRM, which previously said the names of all applicants were confidential even when the applicants themselves disclosed their own identity. The decision to assist the applicants with fundraising is important because CIRM will look more favorably during the two-step approval process on applicants with large matching funds. The California stem cell agency will hear next week from lenders and investors concerning its ambitious biotech loan progam, which is aimed at plugging a funding gap that has blocked development of stem cell therapies. The Biotech Task Force is scheduled to meet on Wednesday in Burlingame, Ca., with a remote teleconference site at BIOCOM in San Diego. On tap is testimony from "capital providers and other experts." The task force has indicated it also plans to schedule a session with business and other potential applicants, which could include nonprofit research institutions. According to California stem cell Chairman Robert Klein, the program could offer up as much as $750 million in loans to enterprises that cannot normally find funding from the usual providers. The program could get underway as early as this year, although the schedule is up for discussion next week. "Think of the loan program — at least that’s the way I’m thinking about it, and the way our task force is thinking about it — as an evergreen fund. That means we can provide early-stage funding that is not available or has very limited availability from other sources [in order to] allow these products to move forward. Eventually those companies or those institutions that are sponsoring would repay the loans with interest, which would allow us to fund somebody else six, seven, eight years down the road." "If the program existed today, we’d be — and this is my opinion, and one I think is shared by the committee — that right now, the biggest gap in the funding is at the preclinical level, when somebody’s getting ready to say, ‘OK, I have preclinical evidence that this works. Now I have to do the toxicology and all the requirements for an investigational new drug application to the [US Food and Drug Administration].’ That is the toughest money to get. And that would be, if we put out [request for awards applications] today, that is likely what we would target." "But we don’t know where in the future the funding gaps are going to be, where the venture capitalists, or the angels, or Wall Street is not funding. And what we’re going to try to do is identify those gaps, and then put programs together to fill those gaps with funding from CIRM." "It really would be a misnomer to only think that these loans would go to, quote, biotech companies. They may well go to other institutions that are also interested in advancing what we broadly categorize as products in this area." "With this type of technology, it’s probable that there’s going to be a lot more interaction between the research institutes and what we classically think of as the companies that move these therapies forward. Some of them, at least, will be [stem] cell-based, so it’s not unlikely that many of the research institutes will get involved through pre-clinical, clinical, early clinical trials." It is hard to overestimate how important it is for interested companies and institutions to weigh in early and often on this program. Sometimes industry seems to be missing from key CIRM proceedings. We recently discussed this issue with a representative of a company that pays more attention to CIRM than most. She said many of the companies in the stem cell business are tiny, very busy and cash-strapped. Thus it is difficult for them to monitor CIRM and offer comments, even though CIRM proceedings could be critical to their futures. Nonetheless, California stem cell companies should be monitoring CIRM more closely. Otherwise rules and regulations that may not be in their best interests could be promulgated. The same advice goes for groups purporting to represent the "public." If they want to have an impact, they should be at the meetings and offer specific, constructive written recommendations on matters of interest. Only one organization, the Foundation for Taxpayer and Consumers Rights, seems to filling that role regularly at this point. What a difference Arnold makes. Stanford announced on Wednesday that investment banker John Scully was giving it $20 million for stem cell research, among other things. News coverage was modest, especially compared to the outpouring that resulted from an identical donation from Eli Broad to UCLA last year. At that time, a Google search on the term "UCLA stem cell million broad" generated 244,000 hits by the afternoon following the announcement. In comparison a search at noon today on "Stanford stem cell million Scully" generated 11,500 hits. The biggest single difference in terms of the coverage was the appearance of Gov. Arnold Schwarzenegger at an event at UCLA announcing the gift from Broad. It generated a wide range of stories including TV spots from the stem cell labs on the Westwood campus. As we pointed out at the time, huge donations offer an opportunity to not only tout the institution and recognize the donor, but also to promote the field of human embryonic stem cell research. When 55 percent of the public nationally says it has little or no knowledge of stem cell research, the field still needs major help. Donations provide a chance to tell a positive story – one that does not involve warnings of expensive therapies, dubious results or even research fraud much less conflicts of interest. We should also note that the donation will probably give a boost to Stanford's bid for a multimillion dollar CIRM lab construction grant. One of the important criteria for the grants is a big fund match from the applicants. Here is a link toe the Stanford news release on Scully (see photo) and a story in the San Jose Mercury News. The San Francisco Chronicle does not appear to have carried a story. The California stem cell agency is wrestling currently with a host of touchy issues in addition to the biggest round of grants in its history. Some of those matters surfaced last month and will surface again next week when the Oversight Committee also decides which institutions move on to the next round in the $263 million lab grant offering. John M. Simpson, stem cell project director at the Foundation for Taxpayer and Consumers Rights, offers this commentary on some of those issues and how CIRM is approaching them. "Here's what I mean: Apparently everyone was worried at the last Governance Committee meeting about the bad image they might get if they use the word 'limousine' in the travel policy. But when a major restructuring of the institute's management structure is presented, it just sails through with nary a thought or comment. "When Zach Hall was president he had seven direct reports. The new organizational chart shows Alan Trounson with only two, plus an administrative assistant. That is a substantial change in management philosophy and substance. "I also expect the two managers reporting to him, the chief science officer and the chief operating office will command substantial salaries as both are to be either Ph.Ds or MDs. I tried to get at some of this in the December Governance Meeting when I ask on Page 30 of the transcript what their salaries and the salary of the director of finance and legal affairs will be. "Just what is Trounson going to do day-to-day? Is he going to run the institute or is going to be spending more time on the road going from one conference to another around the world while the CSO and COO -- both with big salaries -- manage things? "I'm not saying the new management structure is necessarily the wrong approach. My point is that it's a substantial departure from past practice and I'd have thought oversight committee members would have wanted to discuss it in detail in public. "I would think the ICOC should be having a serious conversation about how this is going to work. I don't think anybody has focused on it, and it's much more important than whether someone takes an airport limo rather than a taxi." WARF and BioTime --California's BioTime Inc. has hooked up with WARF and signed a licensing agreement to use some of its patents on human embryonic stem cell research. The Emeryville firm said the WARF patents will allow it to manufacture and commercialize human embryonic stem cell-derived cell types and related products for scientists to use in research and in drug discovery. As part of that effort, the company plans to develop and commercialize a collection of research tools for stem cell research. Here is a link to a Wisconsin story on the subject, and here is a link to the company press release. Monkeys and the American Psyche -- Scientific American says the reprogramming of adult rhesus monkey (see photo) stem cells into embryonic stem cells is one of the top 25 scientific stories of 2007, but that doesn't mean much to the public. The overwhelming majority of Americans has never heard of the research. So says the first poll taken since the announcement of the research results in November. According to the survey by the Virginia Commonwealth University, only 38 percent of those polled had heard of the reprogramming results. The implications for stem cell advocates? They have a long way to go before this stuff is entrenched in the American psyche. "Although there is likely not enough current stem cell research capacity in California to warrant $300 million in grants per year, there's no effective mechanism to prevent as much money going out the door as possible, regardless of the research's quality. The CIRM's governing board is dominated by representatives of grant recipients - from the public, nonprofit, and corporate sectors alike." A California-based firm, Advanced Cell Technology, says it has created human embryonic stem cells without harming the embryos from which they were derived. The company said the results "have the potential to end the ethical debate surrounding the use of embryos to derive stem cells." 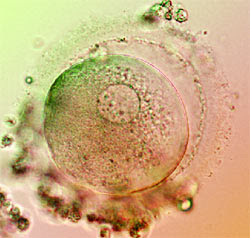 "(T)he only way to prove that the technique does not harm embryos would be to transfer many of them to women's wombs and see if the resulting babies were normal. But it would be unethical to do that experiment, she said, so the question cannot be answered." "That standard has Lanza fuming. By all scientifically recognized measures, he said, the embryos -- currently frozen in suspended animation because they were donated for research and not to make babies -- are normal, he said. John M. Simpson, stem cell project director of the Foundation for Tazpayer and Consumers Rights, offered the following comment on the item below dealing with Childrens Hospital Oakland appeal of what amounts to a grant denial. "CIRM management's now inconsistent penchant for secrecy coupled with news of the Children's Hospital letter of appeal once again demonstrates the importance of complete transparency. "When institutions ask for public money they should be publicly identified. When they are rejected -- even if it's by members of a closed scientific brotherhood -- they should be identified and the reasons for the rejection should be spelled out. "In this case CIRM management touted the 'successful' applicants and remained mum about what may, in fact, be excellent programs. "Anything less than full disclosure leaves CIRM management justifiably open to charges of favoritism. In the long run that inevitably undercuts public faith in an agency whose dedicated staff in fact is attempting to serve the public interest by fostering important scientific research." One of the rejected applicants for CIRM's $263 million in lab construction grants has asked the agency's directors to reverse the decision and fund an effort that has an "immediate and broad application" in the treatment of sickle cell anemia. Bertram Lubin, president of the Children's Hospital Oakland Research Institute, wrote members of the CIRM Oversight Committee on Dec. 28 seeking to overturn the negative recommendation by the CIRM Grants Working Group. Lubin's letter follows CIRM's unusual reversal last month of its longstanding policy of secrecy concerning the names of grant applicants. In the case of the lab grants, CIRM identified 12 applicants that its Grants Working Group decided were worthy of funding by the Oversight Committee. The agency said public disclosure of the names would help the 12 institutions raise matching funds for the grant proposals. Grants with larger amounts of matching funds will have an edge in the competition for the CIRM money. However, the agency has refused to disclose the names of rejected applicants, a policy that has met objections from the Foundation for Taxpayer and Consumers Rights and the California Stem Cell Report. Lubin (see photo) said his organization's proposal would expand a program "focused on clinical and preclinical research into the use of stem cells to cure inherited disorders of hemoglobin (sickle cell anemia and thalassemia), which affect a disproportionate number of children in California." "In contrast to some approved proposals that may have only distant and uncertain prospects of actually curing disease, our proposed facility would support the development of curative therapy with a new type of stem cell, with immediate and broad application to very large numbers of individuals." He said the research involves umbilical cord blood stem cells and "will have a "direct and near-term impact on clinical practice." "The cost of medical care for sickle cell disease averages over $50,000/year over a life expectancy of 30-50 years. In the course of our research, individuals with inherited blood diseases will receive transplants, and our extensive experience indicates these will be curative in the large majority of cases. The enhanced and extended lives of these individuals will represent a direct benefit; the savings to the health care system as a consequence of their cure is less direct but will benefit all California citizens. The knowledge gained from this research will enable improved treatment worldwide, with consequent saving of lives and resources." Lubin also cited language in Prop.71 that states that CIRM should address the medical needs of the ethnically diverse population in California. Sickle cell anemia mainly affects African Americans in the United States. The appeal from the Children's Hospital is the first such to surface publicly at the agency in any of its grant programs. We are querying CIRM about whether other applicants have appealed in this round or in the past. The Oversight Committee will meet publicly next week to consider the decisions of the working group. Only grants that receive the go-ahead next week will go on to the next stage of the competition, which is the largest round of grants in CIRM history. Here is the text of the grant appeal letter from the Childrens Hospital Oakland Research Institute. We are requesting that the ICOC reverse the decision of the Grants Working Group and recommend CHORI’s application for a Major Facilities Grant. We think it is very much in the interest of the citizens of California, and of CIRM itself, that this proposal be funded. We have proposed a facility that will expand and further develop a program focused on clinical and preclinical research into the use of stem cells to cure inherited disorders of hemoglobin (sickle cell anemia and thalassemia), which affect a disproportionate number of children in California. These disorders cause severe anemia with onset in infancy, but also widespread damage to vital organs such as brain, lung, liver and kidney. Our track record in this work is, we are confident, world-class. Our program has pioneered use of umbilical cord blood stem cells to cure genetic and malignant diseases in children; of particular significance is our demonstration that cord blood stem cells can be used to cure sickle cell disease. CHORI laboratories have identified a new type of blood stem cell present in the placenta. These cells promise to provide a rich source of stem cells that will make curative therapy available to individuals who currently need it but do not have suitable stem cells available. Fulfillment of this promise will however require a program of rigorous preclinical and clinical research. The facility we have proposed is designed to house this research program. Our track record in curative stem cell therapy, and our discovery of these cells, make us the most suitable center to carry out the research. The RFA for the Major Facilities Grant did not restrict the work to human ES cells and their derivatives. In fact, our application seems to fit precisely with the Program Objectives listed in the RFA. It is unusual only because we are proposing to carry out research that will have direct and near-term impact on clinical practice. In framing our proposal, we had in mind the goals of Proposition 71 and of CIRM to serve the diverse population of California by encouraging ethnic diversity and participation in clinical trials focused upon the applicability of stem cell therapy. We have pioneered, and continue to develop, curative stem cell-based therapies for sickle cell anemia and thalassemia, which affect individuals from underserved minority populations in California. Our proposal addresses another key goal of Proposition 71, which is to improve the California health care system and reduce the long-term health care cost burden on California through the development of therapies that treat disease and injuries with the ultimate goal to cure them. The cost of medical care for sickle cell disease averages over $50,000/year over a life expectancy of 30-50 years. In the course of our research, individuals with inherited blood diseases will receive transplants, and our extensive experience indicates these will be curative in the large majority of cases. The enhanced and extended lives of these individuals will represent a direct benefit; the savings to the health care system as a consequence of their cure is less direct but will benefit all California citizens. The knowledge gained from this research will enable improved treatment worldwide, with consequent saving of lives and resources. In contrast to some approved proposals that may have only distant and uncertain prospects of actually curing disease, our proposed facility would support the development of curative therapy with a new type of stem cell, with immediate and broad application to very large numbers of individuals. No resources to support construction of this facility are likely to be provided by the federal or state governments in the foreseeable future. We and our colleagues would welcome the opportunity to discuss this matter with you in detail. The California stem cell agency is planning to make some pay changes for its staff and seems to be setting the stage with an interesting document that is now up on its web site. In some ways, the three-page statement of "compensation philosophy" could be considered a list of the reasons not to work for CIRM. On the other hand, it is a realistic portrayal of work-life at the agency. The staff is tiny – now only 26 and limited to 50 by state law. The work is intense and demanding. CIRM directors have repeatedly expressed concern about burnout. Seven persons, including some high level officials, have left since October. Nonetheless CIRM offers some extraordinary opportunities to work at the cutting edge of science, government and business. It is doing pioneering work and is watched globally. It currently has a "wow" factor that has even enticed its new President, Alan Trounson, away from Australia. CIRM’s inability to offer tenured positions to any of its employees. All CIRM staff are at-will employees and can be terminated at the discretion of the President, which is a strength of the Institute but a liability for individual employees. CIRM’s anticipated life-span is 10-14 years, which rules out the possibility of a longterm career track that is available for many civil service positions in the UC system. "Due to CIRM’s projected limited life span, the Defined Benefit Plan (a traditional pension plan) is not perceived to be of significant value by staff members who will presumably have left the organization by the time they reach retirement age. "The Defined Benefit Plan dictates a five-year vesting schedule, which is unattractive if the employee is with CIRM for a limited time period. "CIRM has a defined contribution plan (e.g. 401K & 457) not supplemented with employer contributions. "CIRM’s Conflict of Interest policy limits an employee’s ability to engage in outside opportunities to earn additional income through consulting and/or holding investments in organizations that can benefit from CIRM’s programs, including a requirement that employees divest themselves of any investment in a company that devotes more than 5% of its research budget to stem cell research. "CIRM, unlike many of CIRM’s academic competitors, does not offer housing allowances, which is a significant challenge when relocating prospective staff to the Bay Area with its high cost of real estate and living. "CIRM does not provide a long-term career path or advancement for staff within CIRM due to the limited number of positions defined by law to be within CIRM’s structure. Promotion can come only when existing staff members leave. "Given our statutory inability to recruit a large number of new staff, CIRM employees need to be flexible and willing to transfer skills to support CIRM’s overall operating goals, which may go beyond bench-marked job descriptors gained from larger established institutions. "Staff members need to be willing to be cross-trained as CIRM’s needs develop. "As part of their job descriptions, CIRM employees need to be able to work “out of the box” in that they are to interact with institutions arround the world to ensure positive international relations." The California stem cell agency is excising the word "limousine" from its new travel and expenses policy after one director warned that it was a "red flag." The action came at a meeting Monday of the Governance Subcommittee of the directors of the $3 billion research effort. The subcommittee was reviewing a new travel policy aimed at dealing with some of the concerns of the California state auditor, who last year questioned lunches that cost $36, dinners that cost $65, pricey air travel and chauffeured limos, which the auditor said that CIRM preferred to describe as "large-sized vehicles" with hired drivers. As prepared for the Governance Subcommittee, the new policy, which applies to directors, staff, out-of-state members of CIRM working groups and job candidates, permitted the use of limousines from airports and railroad stations. 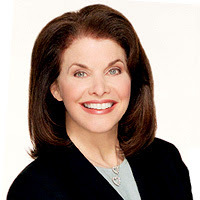 Sherry Lansing(see photo), former head of a Hollywood film studio and chair of the Governance Subcommittee, said, "Limousines should be used only in extreme conditions because you can almost always get a cab." Claire Pomeroy, another member of the subcommittee and dean of the UC Davis medical school, said that the use of large rented cars with drivers "raises lots of red flags." James Harrison, outside counsel to CIRM, said the policy would be revised to remove the word limousine when it comes before the full Oversight Committee next week. However, it appears that use of rental cars with drivers will be permitted under some circumstances. Robert Klein, CIRM chairman, suggested that "sedan service" be permitted when there is a necessity for speed or bad weather conditions exist. Some subcommittee members noted that sedan service can be less expensive than cabs in some situations. Lansing and Pomeroy are correct, however. The use of limousines at taxpayer expense is not something that sits well with the general public. Especially when the governor has just announced he will propose a budget that will hurt many groups, including AIDS patients, the poor and the elderly and slap a tax on renters, homeowners and business owners who buy property insurance. Robert Klein, the chairman of the $3 billion California stem cell agency, has taken issue with our piece on Friday entitled "CIRM's Klein Beefs Up Staff." Ellen Rose, interim chief communications officer for the agency, sent along the following perspective today from agency after we discussed last Friday's item with both her and Klein on Monday. "As you know, the board approved a new organizational chart in December that includes an increase from 4 to 8 people in the Office of the Chair and Vice-chair. We realized that it is not feasible to accomplish all of the responsibilities of the Office as outlined in Prop. 71 with just 3-4 people. "During the next 1 to 2 years, CIRM will undertake two major, first-of -their kind funding programs - the Biotech Loan Program and the tax exemption status for the bonds - that involve up to $2 billion in value. Clearly, these are hugely complex and important funding programs and having the appropriate staffing and expertise in the Office of the Chair, which is tasked with their management, is necessary for successful development and execution of these programs. In addition, the Office of the Chair is responsible for intellectual property negotiation in the contracts for the Biotech Loan Program. "The other increase in headcount is because Government Affairs has been transitioned back into the Office of the Chair. Prop. 71 calls for this function to reside there as part of the Chair's overall responsibility around interaction and education with government (CA Legislature, US Congress, and others), healthcare providers, the public, disease advocacy groups, and other key constituencies. "Finally, as I mentioned yesterday, we will also increase the administrative help in the Office of the Chair because we want to facilitate more timely dissemination of materials to the public." Our item last year on the cutbacks in the chairman's office. The old management structure presented to the Oversight Committee last March, which stipulated no more than four staffers in the office of the chair, which includes the vice chair. The new management structure approved last month, which raised the number of staff from four to eight. The organizational chart approved last month. Ten months ago, the California state auditor took the California stem cell agency to task for sloppy bookkeeping and excessive travel and meal expenses. The auditor found fault with lunches that cost $36, dinners that cost $65, pricey air travel and chauffeured limos, which the auditor said that CIRM preferred to describe as "large-sized vehicles" with hired drivers. CIRM moved quickly to clean up its procedures for its staff. But the problems identified by the auditor involving CIRM directors remain uncorrected. Today, however, the director's subcommittee on governance will take a crack at a new travel policy for both directors (members of the Oversight Committee) and staff. In at least one regard, the proposed new policies appear to roll back one of the changes backed by the auditor: elimination of the use of chauffeured cars. Whether the policies meet the auditor's standards in other areas is difficult to tell, but the complex documents contain ample flexibility, which some might call loopholes. Normal limits on per diem expenses could be waived for foreign travel in the case of "a special event or function, e.g., a national or international sports event." First class air travel could be possibly permitted in the case of "unduly long layovers" or in the case of undefined "medical needs." And the use of limos would be permitted to and from an airport or railroad station. The proposed travel policies to be considered this afternoon were not posted until late Friday on the CIRM web site. Missing were two important documents that should have been created in formulating the new rules. One would show how the new policy meets the problems detected in the audit last year. Another would show how the proposed CIRM policy diverges from the University of California travel policy on which it is based(another issue in the audit). A possible third document would show how the new policy is changed from the existing policy and how the proposed staff and director policies diverge from each other. The state auditor did not wait until her report was published in February of last year to tell CIRM about some of the problems she had detected. Former CIRM President Zach Hall dealt early on with many of the issues involving staff. But as for the travel policies for CIRM directors, the audit stated, "According to the institute president, institute staff did not presume to suggest a policy for the committee." Dealing with those is the responsibility of Chairman Robert Klein. In terms of raw dollars, the amounts involved in CIRM travel and expenses are piddling compared to its whopping multimillion dollar grants, probably not more than a few hundred thousand dollars although details cannot be found in the latest CIRM budget documents. But talk of chauffeured limos and $65 dinners does not sit well with the public or the media. Few persons can understand what $1 billion means. It is much easier for your average Californian, who is paying $4 a gallon for gas in some locations, to grasp a vision of limos and luxury lunches – an image that does not serve CIRM well. Novocell and International Stem Cell Corp. are among the first 10 companies seeking grants from California's $3 billion stem cell agency. Reporter Terri Somers of the San Diego Union-Tribune wrote Sunday about their plans as part of a story on CIRM's efforts to pump money into the stem cell business. Somers' story was the first to disclose the names of any applicants for disease team planning grants. CIRM has refused to disclose the names of organizations seeking millions of dollars in public funds on grounds that they would be embarrassed if they were not awarded a grant. However, last month CIRM reversed itself on the names of 12 applicants for $263 million in lab construction grants, identifying them in order to give them a leg up on raising matching funds to help their applications. "Novocell (a privately held company in San Diego) is developing a diabetes treatment that would create insulin-producing islet cells from human embryonic stem cells. It then would coat those islet cells in a polymer to make the cells invisible to the body's immune system, so they would not be rejected or require the patient to take immune-suppression drugs. "The company plans to be part of two disease teams, Alan Lewis, chief executive, said. "One team, which Novocell would lead, would include scientists from academia as well as a company from outside San Diego, Lewis said. That company, which he declined to name, has more expertise in development than Novocell, which is focused on research. He wouldn't name the academic part of the team." As for International Stem Cell, a publicly traded firm in Oceanside, Ca., Somers reported that it "has created corneas using embryonic-like human stem cells derived from an unfertilized egg." "The company would have liked to create teams for several diseases, but for this planning grant the stem cell institute limited companies to being the lead investigator on only one team, said Jeff Krstich, chief executive. "Nonprofit institutes, including universities, which generally have researchers with expertise in more areas than a company, can apply to lead four disease teams. "International Stem Cell's team is all internal, and plans to focus first on corneal implants, Krstich said. Last year the company published a scientific journal article showing that it can create corneas from embryonic-like stem cells it created from a process known as parthenogenesis, which involves using an unfertilized egg rather than an embryo." "'We weren't expecting free money from CIRM,' said Lewis of Novocell. 'Obviously there needs to be a benefit to the California taxpayers down the road, when a product is approved.'"